I looked through the glass wall and saw the non-operational swimming pool with water the color of moss. The water slide is all dusty and in badly need of a paint job, the walkway was covered with grime, the plants over the trellises looked like they haven’t been tended for so long. The swimming pool, much like the rest of Villa Caridad Hotel is suffering from neglect. I looked around and wondered what happened here. I imagined how it looked like during its heyday, and could only speculate on the circumstances that have led to its current state. 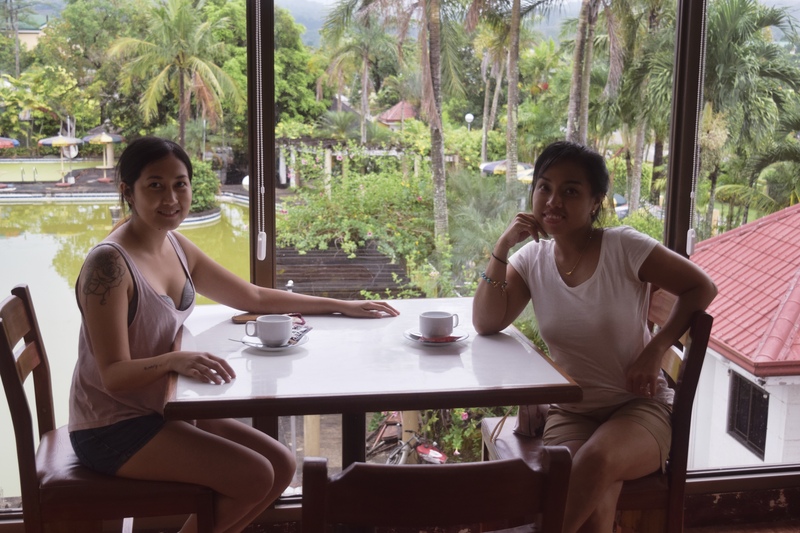 A friend of mine stayed at Villa Caridad and that’s how I knew about the place. 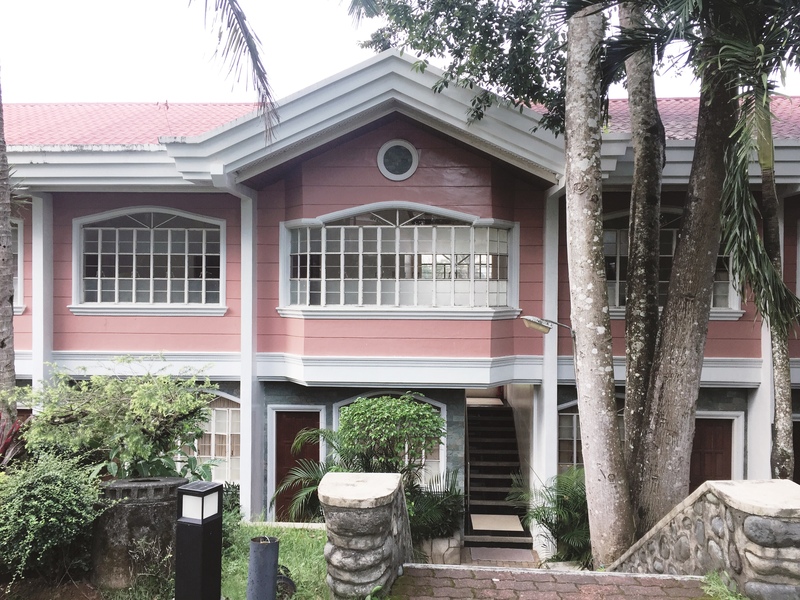 I had no other reason for choosing Villa Caridad for our Quirino accommodation other than the fact that it’s cheap. For the dorm room, it’s only PHP 200/head (USD) a night. We only needed a place to sleep in and we’d be out most of the time anyway so we there’s no need for a first-class accommodation. Even so, I still wasn’t prepared with the amount of inconveniences that we had for staying here. They put us in a small outbuilding where the dorm rooms are. Our room has a double-deck bed and a double-bed, not the typical dorm-type room that you have in mind. There is only one shared bathroom with a dysfunctional shower-head, a small pail and a dipper that were so grimy I couldn’t imagine myself using them for showering. The building has a creepy vibe to it that it’s easy to imagine that something sinister is lurking in the dark corners. I am not the one who gets easily scared, but somehow the place made me feel uncomfortable. I approached the male receptionist if there are any other bathrooms in which we could take a shower. He smiled and said that there is none. Note that he said this without even trying to do something about it; he neither asked anyone nor did he check other rooms. 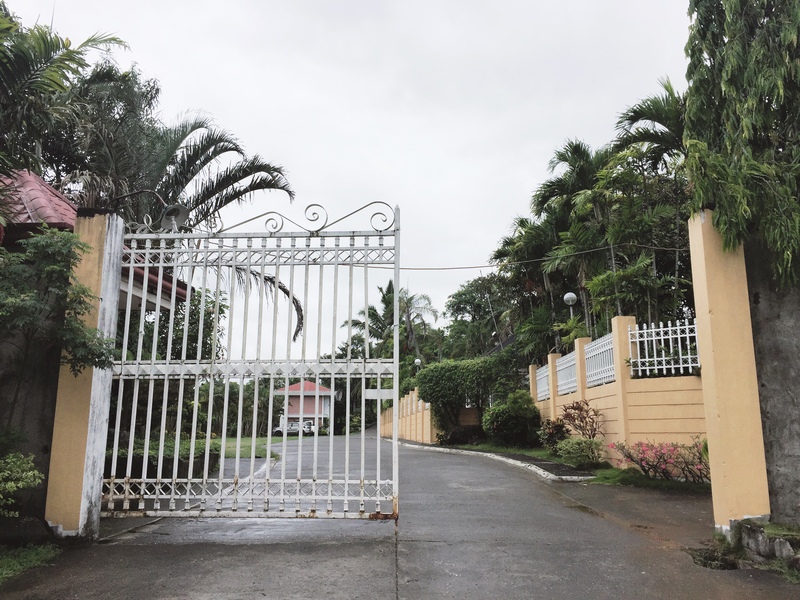 This got me frustrated and I had a hard time accepting it given the fact that Villa Caridad is big and there were hardly any guests when we were there. That morning, while Pancake and I were having breakfast, I overheard two people talking from the other side of the room. From eavesdropping I gathered that they were the owners and just like that I knew what I had to do. This is an old strategy that I have always known to be effective; when the staff says no, go to the person of authority. I approached one of them, a young woman, just before we set out for the day’s tour to inform her of our dilemma. Aside from the shower trouble, our room had a defective lock so I made the request nicely, asking if there is anything they could do about it. The woman nodded and said that she’d take care of it. What a relief! When you want something accomplished, it’s better to talk to the supervisor/owner than the staff. 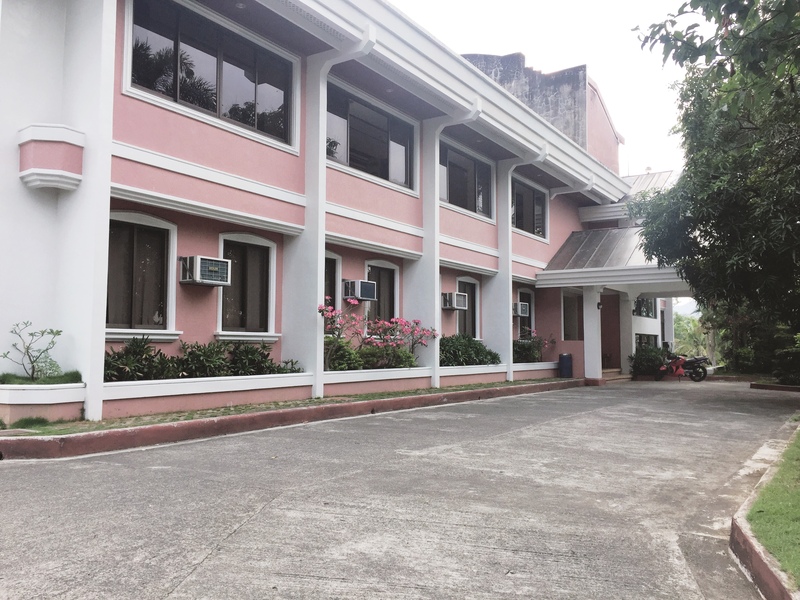 When we came back to the resort later that day, we were told that we could transfer to another room in their apartelle at no additional cost. This room slightly looks better than the previous one and it has its own bathroom. Just like the previous room, it has a double-bed and a double-deck bed. There is a non-functional air-condition unit, but there’s no electric fan either, so Pancake and I went to the reception to ask for it. The lady receptionist who replaced the guy from the morning shift is more eager to attend to our needs, which makes me realize that it’s not that Villa Caridad has no means to make their guests comfortable, it’s just that you have to ask the right people. Clearly, the morning shift guy could learn a thing or two from the lady receptionist. Back to our room, our friend, Silver, who just stepped out of the shower, greeted us with accusations of leaving her behind. Apparently, when she found that she was all alone in the room she got scared and didn’t know whether she should go out or stay in the room. I stood there wondering what got her so riled up until I noticed that the room did look a little bit spooky. Moments later, the electric fan that we requested has been delivered. Due to exhaustion, I had no trouble finding sleep even when my friends deliberately left the lights on. 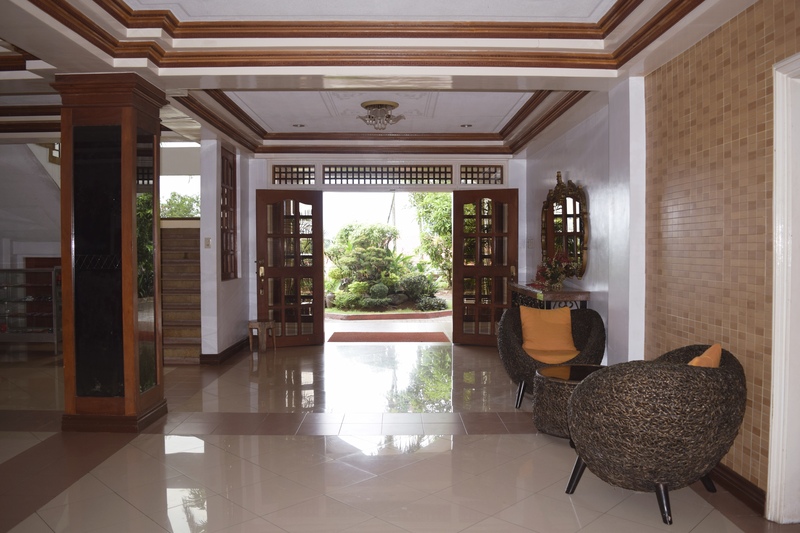 If you’re used to high-quality accommodation, there are many things at Villa Caridad that you wouldn’t like. First is the fact that it is poorly maintained, doors that wouldn’t lock, swimming pool that you couldn’t swim on, and the water from the tap smells of rust. There are no toiletries provided, not even a tissue roll. If you look around, you will notice the signs of grandeur that it once had in the dusty decorations, rusty frames, and dilapidated infrastructure. I wanted to know what happened to this resort, but I couldn’t get myself to ask the owners and the staff. Did they lack the budget for maintenance? Was it struck by a natural calamity that it wasn’t able to recover from? Was there a change in ownership and the current owner doesn’t have the means to return the resort to its former glory? I don’t know. I hope though that they can do something about it because I truly think this place can still be saved. It sits in a nice location with a sizable land area that can still be developed. This can be found in Maddela, which is a good starting point to reach the other municipalities of Quirino. This is where you can find the van terminal that can take you to several places in the provinces. I will present a better argument why you have to be close to this terminal in my next article. Also, the place is quite accessible, in fact, you can just ask the bus driver to drop you off in front of its gates as it is situated by the side of the road. They have more expensive rooms, but since we didn’t stay in one of those I cannot say for sure if they’re worth the extra penny. 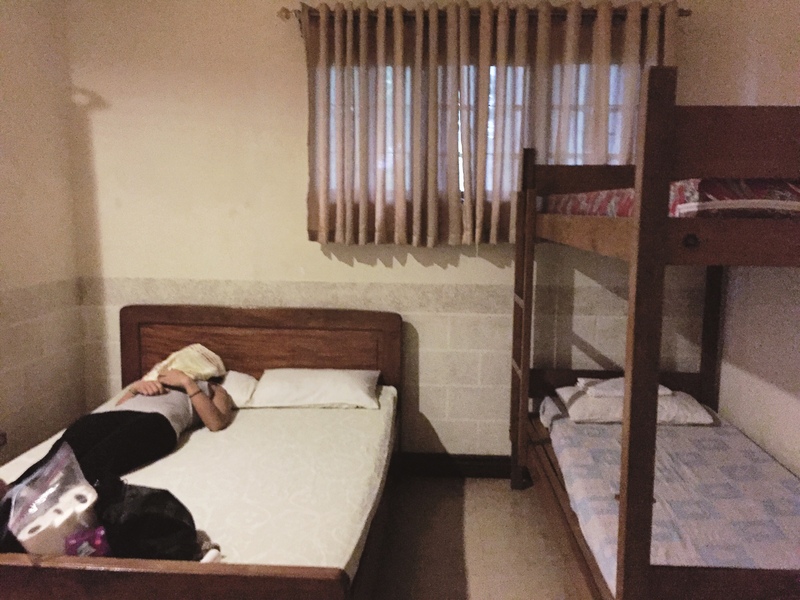 If you are on a budget though and you’re going with a group, 200 pesos a night is not a bad deal at all. It has its own restaurant with decent food to eat. You have to wait for 30 minutes to an hour though before it can be served. Sure, the male receptionist could learn a thing or two about customer service, but generally, the staff of Villa Caridad are polite and accommodating. This includes the owners who are down-to-earth and friendly with the guests. As long as they have room(s) available, you can go for an early check-in, which to me is a pretty big deal because I hate waiting. Reservation is quick and easy too, just give them a ring, leave your name, let them know your day and time of arrival, then you’re good to go. To make your stay a little bit comfortable, bring your own toiletries and don’t hesitate to ask for assistance. I stayed at this resort way back in 2000, it must have been brand new then because when I was there it was fantastic! I couldn’t believe that a place this fancy was in such a rural place as Maddela. The rooms were spectacular and very clean, HBO on the television even. Clean fancy beds, much like a nicer hotel in the US. The only problem I had was there was no hot water in the shower, but I was use to not having hot water in the Philippines. I was not able to enjoy the pools or waterslides but they were extremely clean and well taken care of then. All around the entire place was spotless. The breakfast the next morning was fabulous. I have always wanted to return there but each time I make it back to the Philippines from the US we never have made it back. I may even still have the pamphlet I saved from my visit nearly 20 years ago. Sad to see what has happened. Marjorie- That’s a nice post. Simple and with the pictures, you were able to transport me to that place. There are some backpacker compromises that one needs to do, and I have done similar such compromises. It must be a tough thing for the owners to smile and keep the place running without any motive. Maybe too much bad energies floating around the place. The place looks creepy maybe because it is not well maintained. I truly admire how you manage to be calm despite the inconveniences that you have experienced. I like how you approached someone that have the authority which leads to a great opportunities. Who would have thought that they let you transfer to another room? Anyway, I love how you see things positively and your so honest with what you write which would give us chance to weigh things before we decide to stay here. Thank you so much for sharing this with us. I’m intrigued, too, as to what happened to the villa. It still looks nice though. And I agree with you that if we plan to get out and see as much in the place we’re visiting, what’s the use for expensive accommodation? So long as we can sleep safe. Hehe. Very sincere and honest review, Marge. Looking at the photos, it has great potential that a landscaping makeover and interior renovation can fix. It made me wonder din why it has been neglected. Hopefully the scary vibe will change once the face lift has been done, the property gets regular maintenance and continuously filled with guests. The hotel seems to be in a nice location. Such a pity it is not maintained well. I am sure with the right management and attitude the place can really be transformed. Yes going to someone in authority does help in getting the work done, have experienced the same many a time.